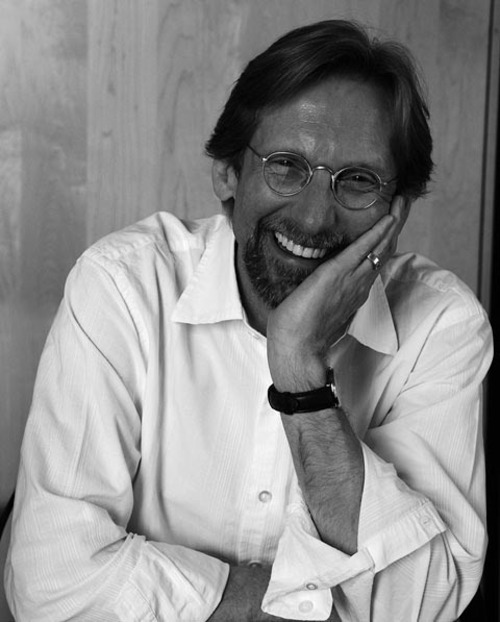 Utah author • Authur Lance Olsen adds latest prize to Guggenheim fellowship. Courtesy Andi Olsen Lance Olsen, professor of English and creative writing at the University of Utah, was awarded a Berlin Prize fellowship for next year. He was awarded a Guggenheim Fellowship for his work in fiction this year. Utah writer Lance Olsen, author of 11 novels and four short-story collections and an English professor at the University of Utah, has been named the recipient of a Berlin Prize fellowship this week. The fellowship, awarded by the American Academy in Berlin, is given to as many as 12 American citizens recognized for their achievements in music composition, literature, economics, law and other fields in the humanities and arts. The five-month fellowship, beginning in summer and ending in fall, lets each recipient focus on their studies and interact with German colleagues in their respective fields. The fellowship comes on the heels of a prestigious Guggenheim fellowship Olsen received last April, also in recognition of his fiction writing. "I can&apos;t begin to articulate how grateful, humbled and excited I am to imagine walking down the same halls as some of my literary heroes," Olsen said, referring to American writers Susan Howe, Anne Carson, Arthur Miller and Jeffrey Eugenides. Olsen&apos;s last novel, 2010&apos;s Calendar of Regrets, wove a dozen separate narratives into one whole, linking Hieronymus Bosch with terrorist attacks and international tourism. His latest project, Theories of Forgetting, is a fictional account of the life and art of Robert Smithson, creator of the renowned "Spiral Jetty" along the northeastern shore of the Great Salt Lake, made of basalt rocks, mud and salt crystals. Founded in 1994 by a group of noted Americans and Germans, including former U.S. Secretary of State Henry Kissinger and German political leader Otto Graf Lambsdorff, the American Academy in Berlin is a privately funded institution promoting artistic exchange and dialogue between the people of Germany and the United States. The academy maintains its Hans Arnhold Center by the shore of the Wannsee Lake in southwest Berlin.